The $3.3M research grant, given to a team of researchers at the University of Southern California, will support a project that will lead to improved treatment of craniosynostosis. Craniosynostosis is a birth defect that occurs in roughly one out of every 2,500 live births and in severe cases can lead to developmental delays, hearing loss, blindness, and even death. With craniosynostosis, the joints that normally separate the different bones of a baby's skull fuse together before the brain is fully formed. Usually the skulls of babies have "soft spots" that allow for enough flexibility for the brain to grow, but when the joints close together too soon, it leaves little room for the crainum to expand and can cause serious medical issues. Conventional treatment of craniosynostosis usually requires surgery to separate the fused bones, a process which is very traumatic and has a high morbility rate. With the five-year research project, titled “Molecular and Cellular Basis of Craniosynostosis,” three principal investigators from three different departments at USC will work together to better understand the genetic and molecular processes that cause craniosynostosis. 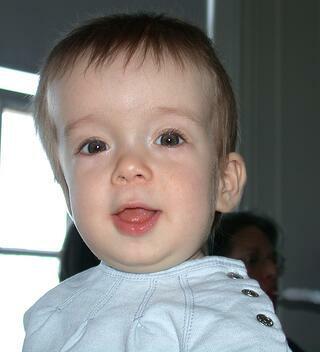 The research study will focus on two genes called TWIST1 and TCF12, mutations of which contribute to craniosynostosis. “Those genes really give us an entrée into the molecular and developmental processes that are going awry in craniosynostosis,” said Robert Maxson, professor of biochemistry and molecular biology at USC's Keck School of Medicine and one of the study's principle investigators. By increasing understanding of what causes the defect, the research team hopes that less invasive treatments for this birth defect can eventually be developed. Instead of a risky surgery, ideally there would be a pharmacological treatment to compensate for the mutations in the TWIST1 and TCF12 genes. In addition to Robert Maxson, the study's other two principal investigators are Yang Chai, associate dean of research at the Herman Ostrow School of Dentistry of USC, and Gage Crump, associate professor of stem cell and regenerative medicine in the Keck School of Medicine of USC. On October 19th, 2016 Biotechnology Calendar Inc will host the 14th semiannual BioResearch Product Faire™ event held at the University of Southern California. 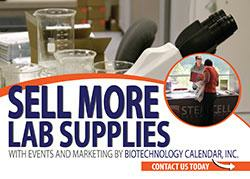 This event allows laboratory equipment suppliers and chemical supply companies to meet with researchers interested in finding the best and newest lab supplies and technologies to use in their life science labs. To learn more about participating in this trade fair event in Los Angeles, please visit the link below or call (530) 272-6675. Researchers are invited to attend the on campus trade fair for free and discover the newest science solutions. For more information or to pre-register, visit the link below.